A medium size, dark red skin and flesh plum with sweet and juicy flesh. The fruit has no sourness under its smooth skin. An attractive small deciduous tree with beautiful Spring white blossoms. Summertime brings a plentiful harvest great quality plums. This great tasting fruit often wins taste tests. A great low chill variety needing less than 300 hours chill below 45 degrees Fahrenheit. Popular self-fertilize plum good for USDA Plant Hardiness Zones 6 – 10. 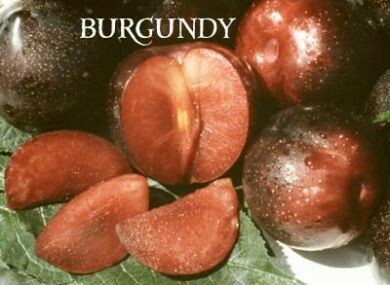 Plant Burgundy plum trees in the Full Sun or areas with partial shade. As a relatively small tree, space as little as 10 feet apart. Provide more space for trees intended to grow wide or for more space between trees. 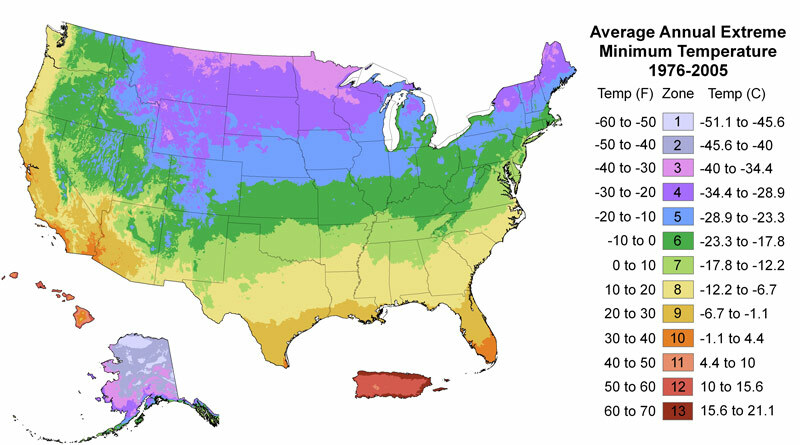 As a deciduous plant, do not provide supplemental water in the Winter while dormant. Start watering regularly in the Spring once the tree leafs out. Most newly planted trees need water once per week, then increase the frequency to twice per week once the weather becomes hot in the summer. Fall bring lower temperatures, thus a reduction in water frequency. Reduce frequency until water is discontinued in the winter. Fertilize plum trees with organic fruit tree fertilizers such as bone meal, blood meal, humus, and manure. Provide manure and higher phosphorus and potassium fertilizers like humic and bone meal in the winter before spring growth along with manure. Apply higher nitrogen fertilizers like blood meal and other granular fertilizers in the Spring and Summer growing season.